Ram’s journey as a filmmaker from the critically-acclaimed Kattradhu Thamizh (2007) to his last outing Thanga Meenkal (2013), has taught him many lessons. Having been in the film circuit for more than a decade, currently, he’s busy acting in Mysskin’s Savarakathi as the protagonist, besides directing Mammootty in Peranbu. 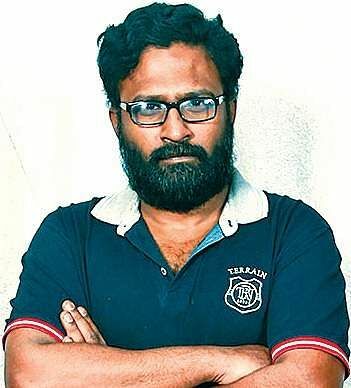 He’s also looking forward to releasing his other directorial venture Taramani soon, which has Andrea, Anjali and Vasanth Ravi, in important roles. “I have always wanted to make stories from the heart; maybe that’s why my films take a lot of time. Somethimes, films are prone to delay due to economic reasons,” he says. Talking about casting Mammootty in a Tamil film after a long time, he says he had an amazing time working with him and learnt a lot from him. “Peranbu’s script was something that struck me six years ago and I thought of Mammooka while developing the plot. When I approached him, he was happy to do it. His role is that of a family man, who rediscovers himself after an incident,” he explains. Calling it a feel good film set in both rural and urban backdrops, he shares, “The film revolves around a father-daughter relationship and human emotions. Initially, we thought of making the film only in Tamil, but Mammootty convinced me that it would be received well by the Malayalam audience. So, we plan to make it a bilingual,” he adds. Ram always wants to make the best film and not the biggest. “I feel satisfied if films come closer to my vision. Comfort levels matter to me, and I trust my actors. I spend time with my actors before and during the shoot to understand them,” he says. Ram admits that Anjali will be a part of most of his films. “Whenever I have a role for her, she does it without any apprehensions,” he shares. Many know that Ram belongs to the Balu Mahendra school of filmmaking and believes in his craft. “When I do a film, I stick to the basics, relying completely on a story and have been careful about authenticity and the like. I am really not a planner, but I’d love to direct a light-hearted film or something on teenage love,” he shares.